This entry was posted on Monday, November 30th, 2009 at 11:49 am and is filed under License requests, Linkblogging. You can follow any responses to this entry through the RSS 2.0 feed. Both comments and pings are currently closed. 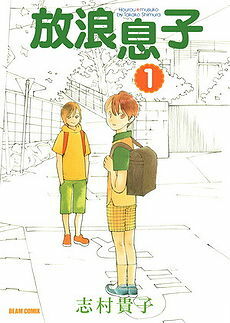 I’ve been reading scans of Hourou Musuko, it’s a series I’d like to see licensed on this side of the Pacific. Ohh, Ryo Ikuemi is awesome! I hadn’t heard of that title but it sounds quite interesting. We need some of her manga published here, for sure!! I finally broke and started reading Horo Musuko just today, and decided to check and see if it ever made it onto one of your License Requests. Looks like I came here just in time! It’s kind of a selfish thing to say, but I think that I get more out of Horo Musuko than most people would. It took me a long time to come to terms with my transsexuality, and this is kind of how it played out. I wholeheartedly second the license request, if for no reason other than wishing I could have read this as I grew up.